A seeker of wild places and pristine point breaks, Belinda’s heart has always been set on the ocean. A passionate all-around surfer and bodysurfer, she’s best known for her graceful and technically accomplished longboard style. 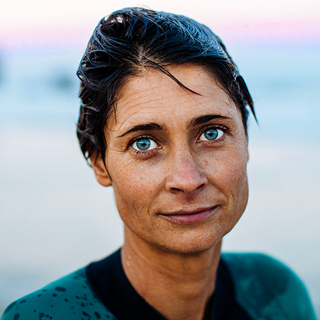 Bindy has a wandering spirit, but her roots are on Australia’s Surf Coast. “Time in the ocean,” she says, “is like returning home.” She recently added the role of mom to her resume, and delights in sharing the beauty of this world with her son.